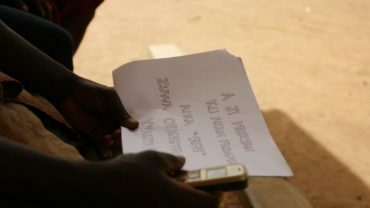 This blog post is one of a series we are doing to host guest thinkers and researchers to participate in a broader conversation about designing for governance and development. Today, we feature Zach Hyman, a Fulbright Fellow studying resource-constrained creativity and user-led innovation in China. His fascinating piece takes us on a maker-hacker journey through Myanmar, where people are acting in very creative ways to manage the constraints of electricity. Myanmar’s offshore natural gas reserves – speculated to be as much as 90 trillion cubic feet – give it the tenth largest reserves on the planet. And yet this number may as well be describing a different country to people such as Aung Tun,* who, despite living in a relatively wealthy part of Yangon, is still subject to the vagaries of the electrical grid. For the safety of his apartment building’s residents, he has developed a system of car battery-powered fluorescent tube lights that light the building’s entryway when the grid shuts down. Like the rest of the city’s four million residents, he improvises to cope with the blackouts that descend upon Yangon each April as the reservoirs supplying the city’s hydropower generators dry up. During the hottest months of the year, a combination of outdated transmission lines and contracts promising most of the country’s available natural gas to China and Thailand lead to a national electricity deficit. Yangon’s natural gas filling stations are rendered inoperable, further crippling its strained transportation network. City residents struggle to reorganize their lives into rationed six-hour blocks of electricity as whole neighborhoods are plunged into darkness each night. As the dry season grinds on and life off the grid becomes the norm, resourcefulness flourishes to fill the gaps left by the state. Craftsmen do brisk business converting a variety of aluminum containers into low-cost lanterns. 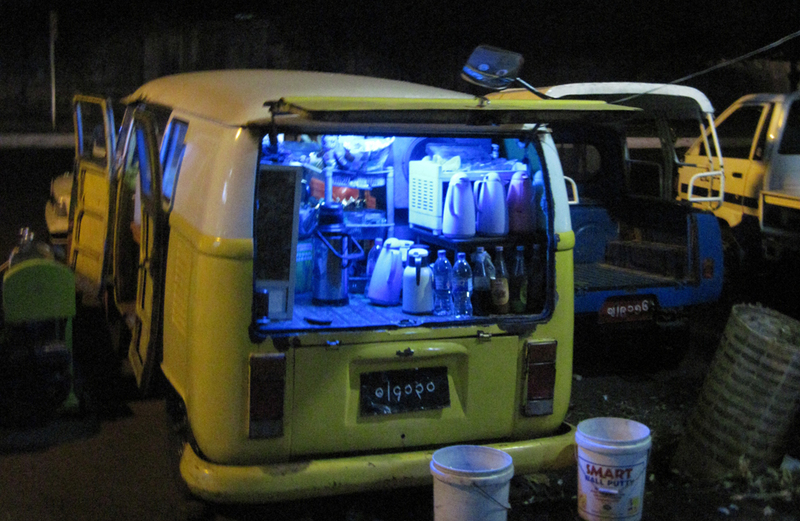 Car batteries are nested within empty motor oil containers and fitted to bicycles, allowing mobile vendors to light up their wares when the streetlights go dark. Entrepreneurs hack down bamboo stalks, place batteries within their cavities, and wire them with locally manufactured LEDs to make cheap, portable lamps. 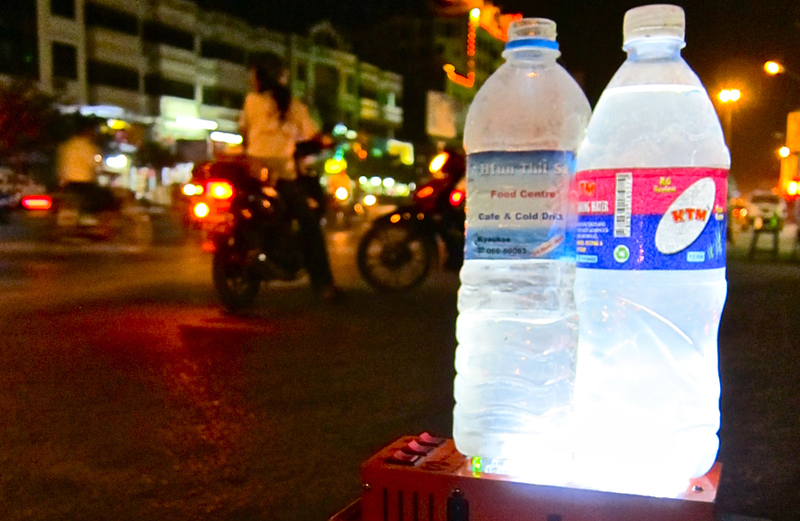 To advertise their services after sundown, black market roadside gasoline vendors fill jerry cans or plastic bottles with water and illuminate them with flashlights, repurposing the objects traditionally associated with their service into a means of advertising. In Myanmar, teashops serve as local go-to social spaces, as well as informal forums for the exchange of ideas and news. 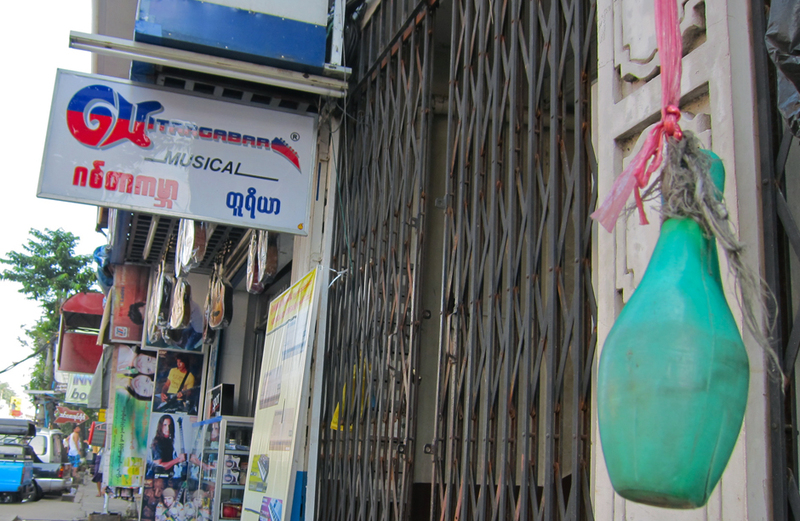 In addition to the expense of maintaining a generator, rising rents have lead many smaller downtown Yangon teashops to vanish. Here, repurposing has resolved the challenges of rent and electricity access in the form of a retrofitted Volkswagen Microbus. 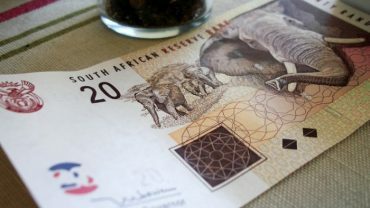 The owner, who previously ran a stationary teashop, spent the equivalent of US $400 to equip his van with a speaker system, propane stove, interior lights, coolers, and a pair of hand-driven ice cream presses. Yet, the crowning glory of this VW teashop is its ability to adapt to the fluctuating electrical grid. Each morning, he drives his teashop back to the same junction he was stationed at the previous evening. The only difference from the previous night is that the vehicle will be parked across the street. The teashop owner uses his relationship with one business on each side of the street to take advantage of his teashop’s mobility: when one side of the street’s electricity is turned out for its scheduled six-hour blackout, the teashop (along with its customers) simply moves across the street and connects itself to another grid. “I used to have to open my teashop when there was electricity, and shut it when it went out. There was not enough profit to buy and run a generator, especially when I couldn’t even keep the shop open for more than half the day through the dry season blackouts. With [this vehicle], everything is different,” says the owner, who has established a following of loyal customers. Such creative repurposing of objects and spaces serve as patchwork solutions to unreliable electricity. Other makeshift substitutes for electricity, such as “ring-ropes”, further demonstrate local creativity. It is common practice in Yangon to hang a rope from one’s window or balcony. A bell is attached to the top of the rope, and a visitor standing on the street pulls the rope’s end to notify the resident above of his or her arrival without the aid of electricity. Ring-ropes also save visitors the disappointment of walking up multiple flights of stairs only to find that their friend is not home. The street end of the ring-ropes usually feature a seemingly random object tied on to them. Such repurposed objects serve two roles: The first is to distinguish a given ring-rope from the others hanging around it, and the second is to allow people on the street to attach and send items. People rely on ring-ropes to deliver newspapers, letters, and even packages to residents up above, saving them the effort of manually carrying them up numerous flights of stairs. A user simply attaches the desired object to the resident’s rope using the repurposed object as a hook or container, and then tugs the rope, ringing the bell and notifying the resident of a delivery. Apartment residents also employ ring-ropes to send down everything from forgotten lunchboxes, to money, to a set of front gate keys for a visitor. Examples of repurposing are informative because they reflect how creators innovate to address previously unmet needs. By understanding patterns of repurposing throughout a society, designers can obtain a clearer picture of that society’s unique constraints. Such constraints limit individuals in resource-scarce contexts on a daily basis, and those serving these populations must consider those constraints. While working to surmount these limitations, it is important to remember how necessary they are for effective design: constraints ultimately both discipline and inform efforts to create more appropriate solutions. Understanding the particular constraints affecting a population is a precondition to developing the most appropriate products or services for them.